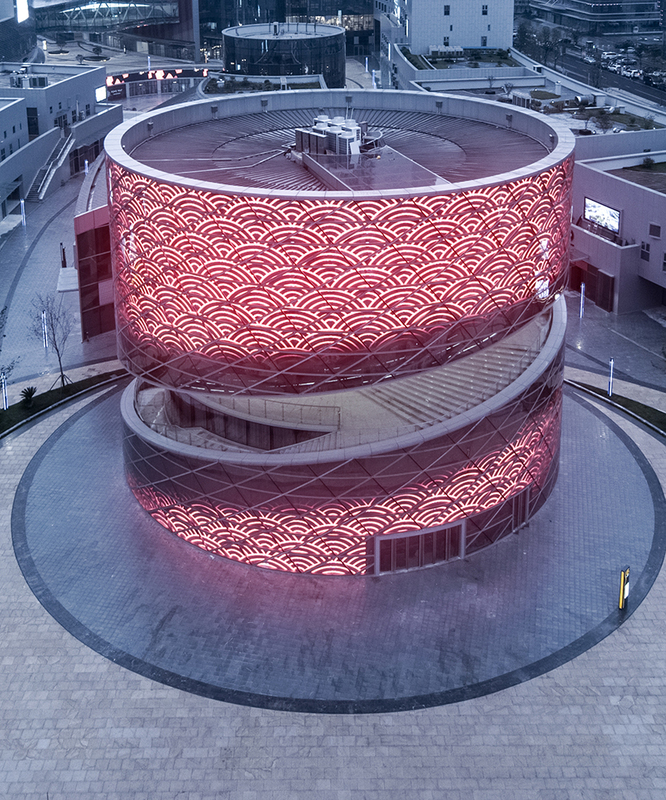 ATAH, an architectural and design studio based in Los Angeles and Shanghai conceptualizes CTC, a China Textile Center resembling a spiral connecting the exterior and interior and transforming the entirety of the building into one continuous exhibition space. The building is created by using a geometric web fusing onto a helical surface. In the center of the building, one shuttles through both the indoor and outdoor landscaping via access staircase without being aware of the transition due to blurring the boundaries emerging all floors. During an artistic presentation, performers seem to be walking towards the center of the stage via a slow spinning staircase. 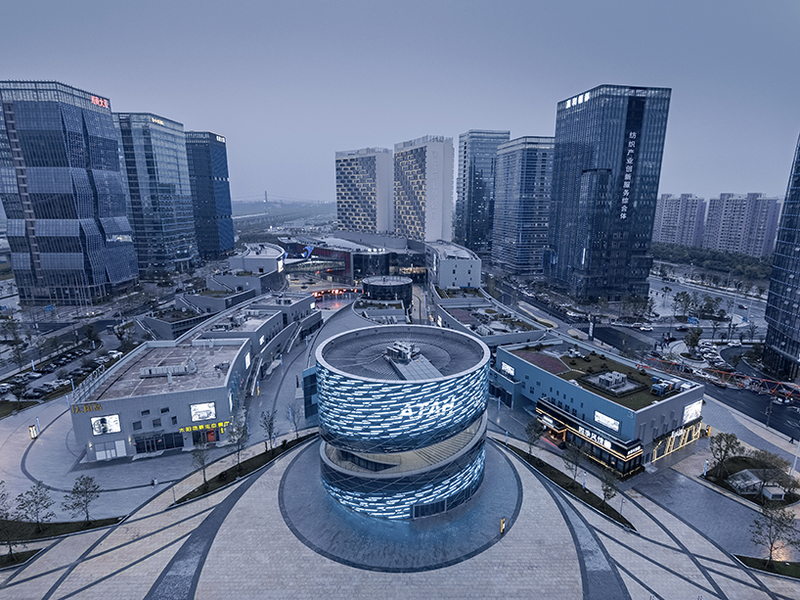 ATAH’s project proposes to fuse various commercial attractions with an artistic blast, involving a mix of commercial typologies and aims to become the core of the keqiao science city in shaoxing. The heli-stage of the CTC is the epicenter of the commercial complex and is correspondingly located at the main project entrance. The design adopts a core-tube structure, the main structure is the steel core in the center and houses a central air well with an elevator. The alternating geometry of the staircase from the first floor to the third floor is directly tangential to the structural steel core with horizontal steel members overhanging to support the spandrel, the space frame in combination with a suspended cable at the periphery of its own surface. The leftover spaces within are used to contain building services and equipment. 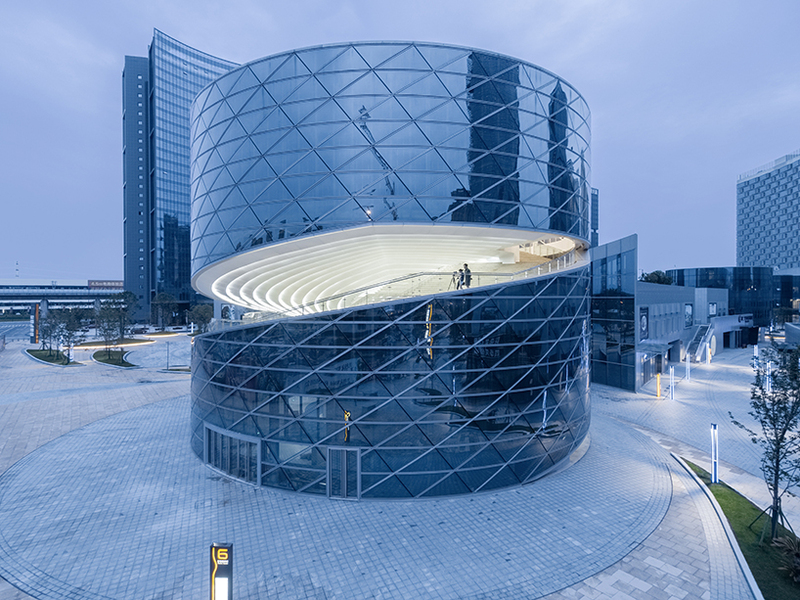 The structural design of the building adopts the subversive nature of a mobius strip. 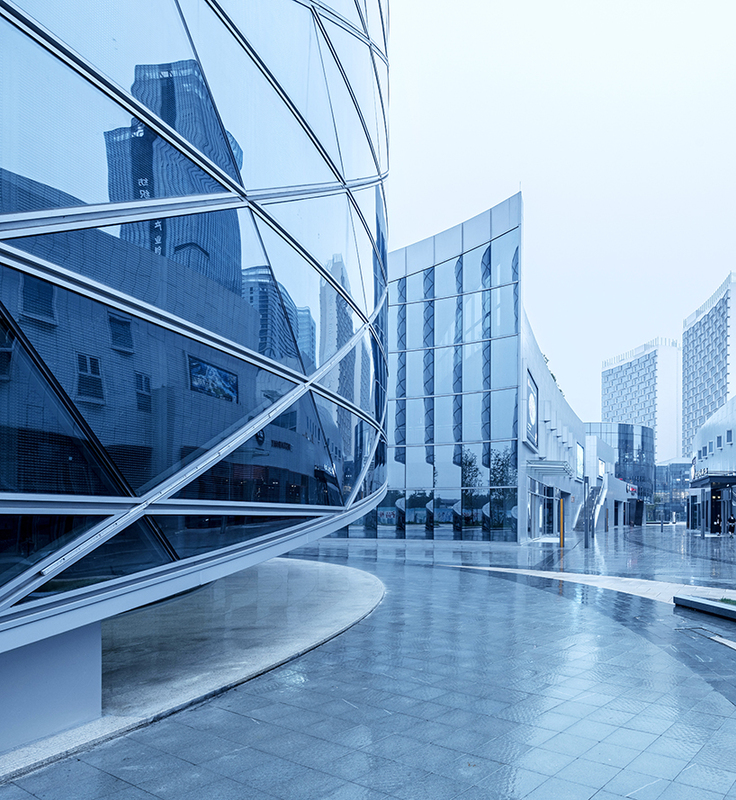 In order to further strengthen the concept of morphology, curved triangular low-e double glazed units make up the outer curtain wall wrapping its cylindrical façade. The façade within the central void consists of a single modular unit. The interior design adopts the concept of weaving using abstract elements such as the spinning wheel. Through the entranceway, visitors immerse in the architectural extravaganza of rotating, diffusing, and interweaving movement, which celebrates the beautiful formation of the space. This concept is accentuated by its interior design, taking a cue from the textile production process, as well as the local textile culture in mind.